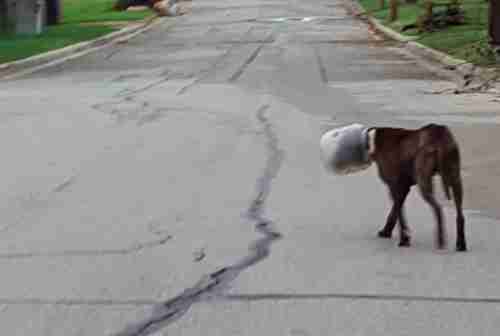 Residents in a Texas neighborhood were shocked and concerned when they spotted a stray dog wandering the streets - with a large plastic jar stuck firmly on his head. 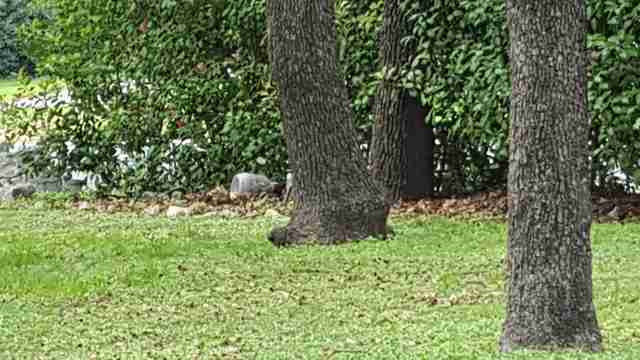 The concerned residents contacted Fort Worth Animal Control, and said that it seemed the poor dog, later named Pickle, had been in this predicament for around three days. Pickle was understandably terrified, and therefore refused to let anyone get close enough to help. 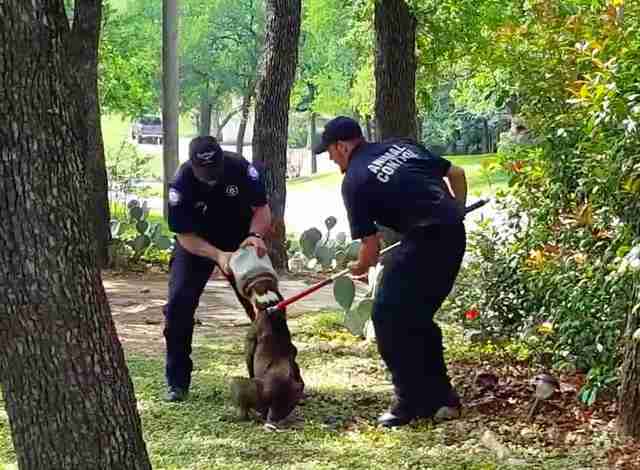 Two animal control officers went out to the neighborhood in search of Pickle, and found him wandering around a wooded area, still with the jar on his head. Because of how scared he was, they knew they would have to get creative to give him the help he needed. 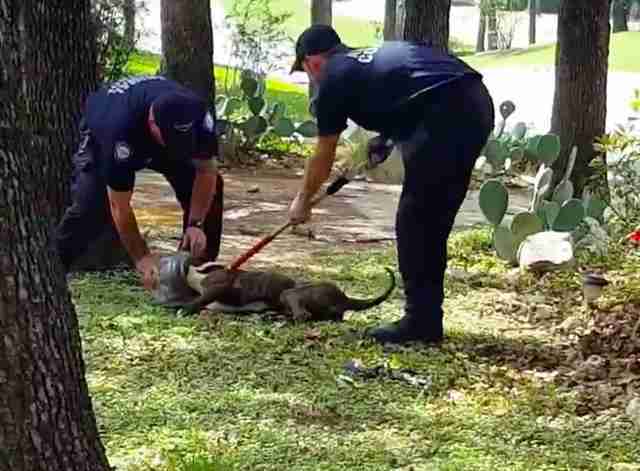 "Pickle was – and still is – very scared, so officers actually had to sneak up on him," Diane Covey, public information officer with the city of Fort Worth, told The Dodo. ... they pried the large jar off of his head. The plastic jar was the kind used to hold cheese balls, and so Pickle had probably gotten stuck while trying to lick up the remains of the tasty snack. 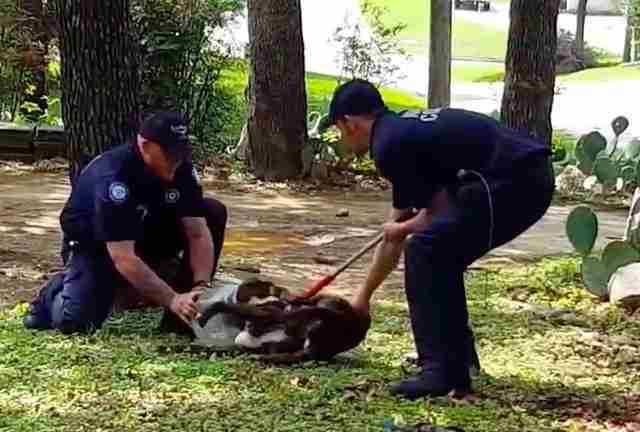 The whole rescue only took a matter of minutes, and as soon as he was free from his plastic prison, the officers took Pickle back to the shelter to get him the care he needed. Pickle was extremely dehydrated and had a few lesions, but otherwise he was in OK condition. He's still absolutely terrified of everything and everyone, but hopefully in time he will realize that he's safe now, and that everyone around him just wants to help. "He's not aggressive and we can tell he loves people," Covey said. "Staff are taking it one day at a time with him as everyone has said he was traumatized by the incident. 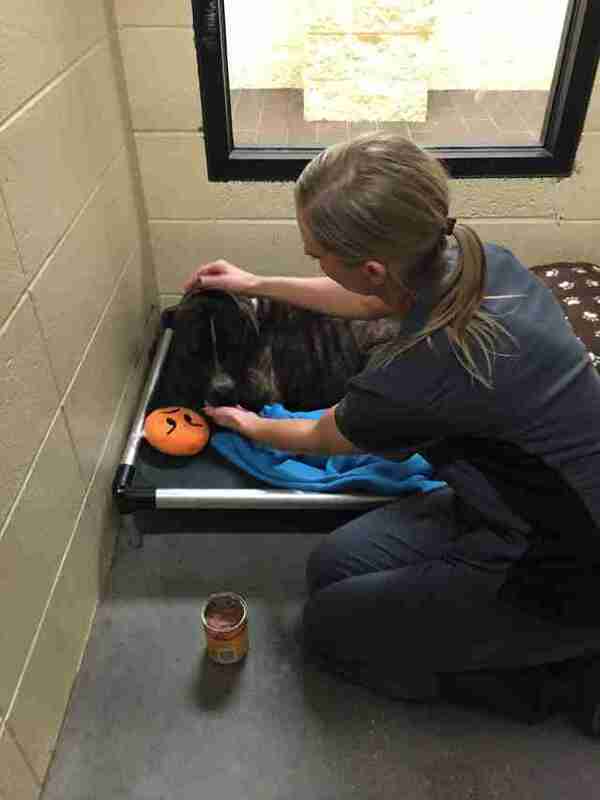 He's getting spoiled though, as staff at the shelter are even hand-feeding him with canned dog food!" Pickle still needs some time to heal and gain back his confidence, but after that, he will be more than ready to find his loving forever home.